Over years of repeated exposure what seems impossible when you’re young finally comes to pass – you gradually come to “know” Shakespeare. Actually, on an intuitive level, I felt I knew him right away. His language is such that it seems to come from God—as though it were already present in one’s brain, in the universe, and merely revealed to you. Like everyone else, I started to read and be influenced by his plays starting from my teenage years. But the themes that unite his work and his personal psychology as a human being and as a writer, only have truly come to me after years of increasing familiarity. I recently had a revelation and stumbled upon what I take to be a key to him. It came to me, oddly enough, when I was writing elsewhere about Lillian Hellman. Hellman’s life and work was all about deception. I think this is also the great theme of Shakespeare’s work, and from it I feel I can deduce something about his life and psychology. I suspect that he must have had a stern, authoritarian and conservative father, maybe one with an alcohol problem. Shakespeare is the ultimate conservative artist: conservative in form, conservative in philosophy, conservative in politics. In his professional life, he is subservient to nobility. In Nazi Germany, the culture ministry had to ban most of Germany’s best playwrights, including their own great classical geniuses. The most oft-produced and approved was…Shakespeare. However, Shakespeare was also a highly sensitive and intelligent and extremely imaginative man. And this creates a tension. The constant discipline, the constant OUTWARD obedience and restraint, yet a mind capable of any thought, and flight of fancy, of conceiving misdeeds and disorder. It leads to a sort of subtlety, a subversion, a dishonesty (or perhaps, put more charitably, an artfulness). When one needs to tell unpleasant truths to stern authority figures given to irrational harsh punishment, one learns to sugar-coat, to diffuse, to subtly misrepresent, or even to out-and-out deceive. It is throughout his work. His villains do it – with relish – constantly. I think the fact he chooses to express himself poetically (instead of realistically like Ben Jonson) may also be a reflection of this fact. Poetry is an indirect way of expressing oneself. It may be “higher”, that’s true. But that’s a way of currying favor, isn’t it? But writing in the indirect manner also allows you ambiguity, wiggle-room. You can’t be tied down to any one interpretation that may or may not have unpleasant repercussions. But, beyond this, Shakespeare is self-aware about it. Like Jean Genet, he is an aesthetic philosopher of theater. As with abstract expressionists among painters, whose work is also about the art and act of painting, Shakespeare’s theater is about the art and act of theater. Thus, we have all of the characters in his plays taking assumed identities and going in disguise, just like an actor. We have all the villains telling fibs, just like an actor. His obsession with Ovid and Metamorphosis jibes with this. He knows that man changes, evolves…this is the essence of action, character development. And behold, the character is a “different person” at the end than he was at the beginning. What also can we deduce about Shakespeare the man? He was a passionate person, probably a trial to be around for those closest to him. Capable of great charm and humor, but also passionate fits of temper, dark moods, and I would imagine fickle in love, to put it mildly. Anyone capable of such great love poetry was made for wooing and probably wooed everybody. We know he left his wife. I imagine him gleefully going from one to the other, imagining each time that each woman was the sun around whom he revolved. As for the temper and moods and the rest of it…it is pure logic. One can not imagine what one is not capable of thinking. One can not hit those emotional heights and depths unless one has it “in” one. A gentle and temperate soul would simply never dream of going where Shakespeare goes. One is the sum of one’s own characters. I am talking about passion as a general proposition, of course. One imagines the details, of course. I’m not saying he lived his characters’ worst crimes for example. He doesn’t need to have murdered or worked stratagems or ruined friends and so forth. But he gets pretty far into the heads of characters who do, and often with relish. I find it impossible to think he was a restrained and calm person…and if he was one, it must have been with a great deal of effort. Tradition has lumped in some of his odd plays into the “comedy” category, which is stupid—what the hell for? Another tradition has put these odd ones in a new category, “romance”. But that’s just a pretty name. What they really are are melodramas…plays of intense, unhappy, dramatic events that have a happy, rather than a tragic ending. I was once appalled to hear Orson Welles, whom I thought would know better, referring to Shakespeare’s plays as melodramas at heart. 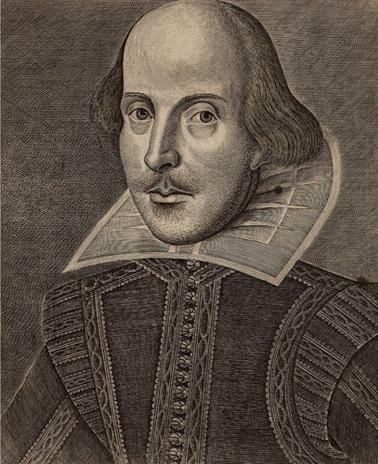 I indignantly thought of Shakespeare only as an author only of high tragedy, a much higher form than melodrama. But Welles’ knowledge of Shakespeare, naturally, was much wider than mine. I only knew the tragedies well (they are better known) and had a scant knowledge of the handful of Shakespeare plays that might be called melodramas (Two Gents, Measure for Measure, Pericles, Coriolanus, Cymbeline, and Winter’s Tale). Also: there was a long tradition in the intervening centuries of altering the endings of the tragedies to make them happy, hence, melodramas. And thirdly, some of his histories and related plays (Titus Andronicus and Richard III) are CERTAINLY melodramas…much more so than they are history or tragedy! Anyway, it’s worth investigating: Did Shakespeare invent that form? Most of his last plays are melodramas. The style prevailed for centuries thereafter and is vigorous in its own way today. At any rate, it’s clear to me, Shakespeare chafed at the categories one is supposed to lump plays into. He ridicules the concept in the players scene in Hamlet. As he evolves, you see him move away from pure comedy (i.e. Comedy of Errors) to an increasing bleeding of distinctions. In Midsummer Nights Dream and As You Like It he’s already moved into the “pastoral comical”. Two Gents is a melodrama, and so forth. His comedies are dramatic, his tragedies are full of comedy. After 12th Night, NONE of his plays exactly answers the description “comedy”. I have to say in general Shakespeare’s comedies are too grand and dignified. His prevailing instinct is not comic. Whereas in Moliere and Jonson the very ideas for the plays are funny. Every moment is comic. Shakespeare’s métier is beauty, terror, majesty. Erm…just some random thoughts from my notebook, yours for free, and worth as much!